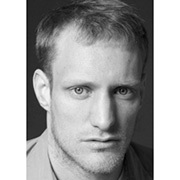 Daniel graduated from Rambert in 1994. Prior to graduating, he played the role of Tadzio in Britten’s Death In Venice (1992) at Glyndebourne Festival Opera (directed by Stephen Lawless, choreographed by Ian Spink). He worked with Michael Clarke (1994-1995), including touring the original production of O. Following this, he toured with Merce Cunningham Dance Company (1998-2009). Between 2013 and 2014, he toured again with Michael Clark Company (2013-14) with the production animal / vegetable / mineral, and choreographed a triple bill of works and performances in Ostrava and Prague (Nová Scéna) in 2014. He now stages Merce Cunningham works for various universities and professional companies including assisting with Scenario for Ballett am Rhein in Düsseldorf (2014), teaches Cunningham Technique® internationally, and has also studied Acting Shakespeare at RADA.